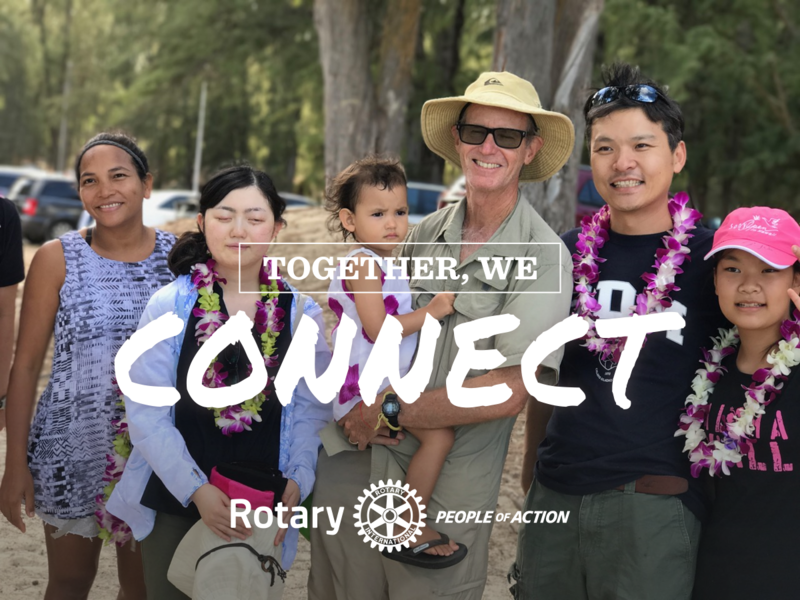 The Rotary Club of Honolulu Sunrise believes in a culture of business and personal ethics, friendship, leadership, giving, fun, and a focus on service above self. We welcome you to learn, grow, find new significance and belonging along with a strong dose of fun. Join us. 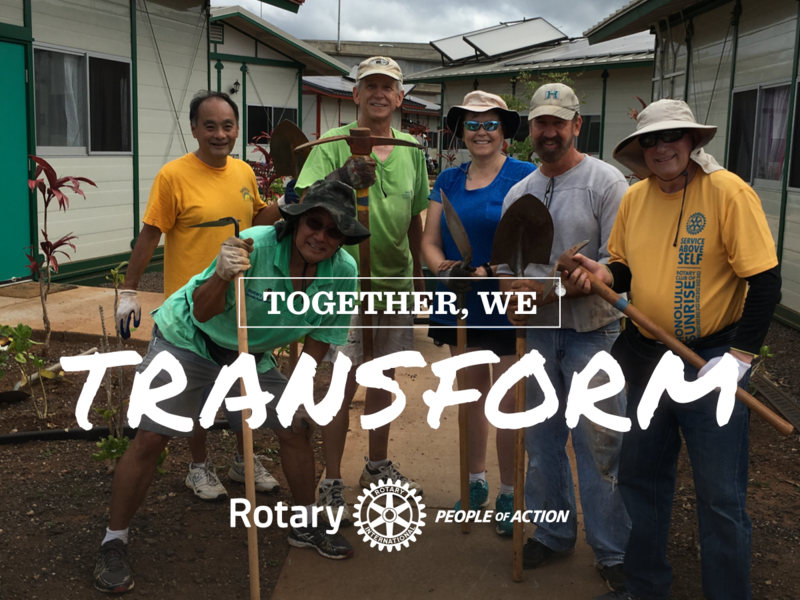 Rotarians are People of Action. 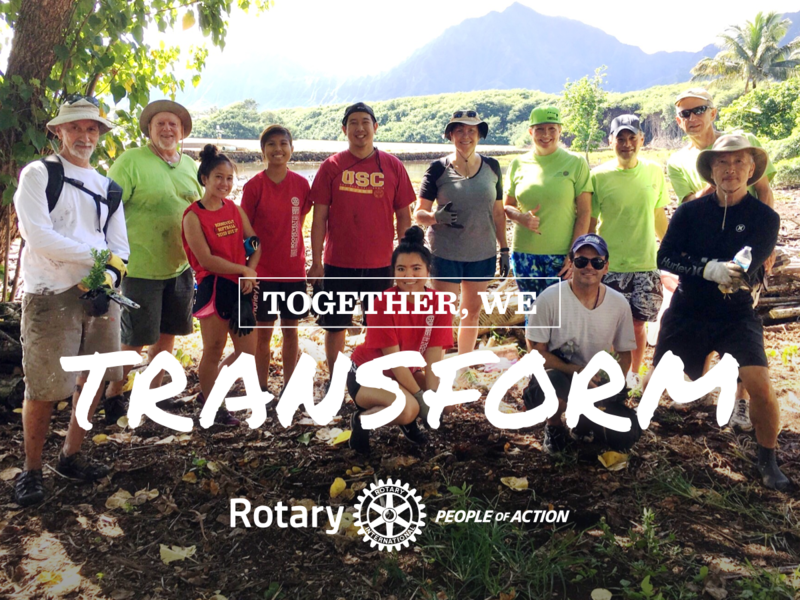 STEP 1) Click this video and Learn more about what Rotarians do in their communities. STEP 2) Contact our club and visit one of our meetings. Inspiration: Wendy Goodenow delivers Kent Keith's writings on "Anyway". A must read for servant leadership, and just doing good in the world. 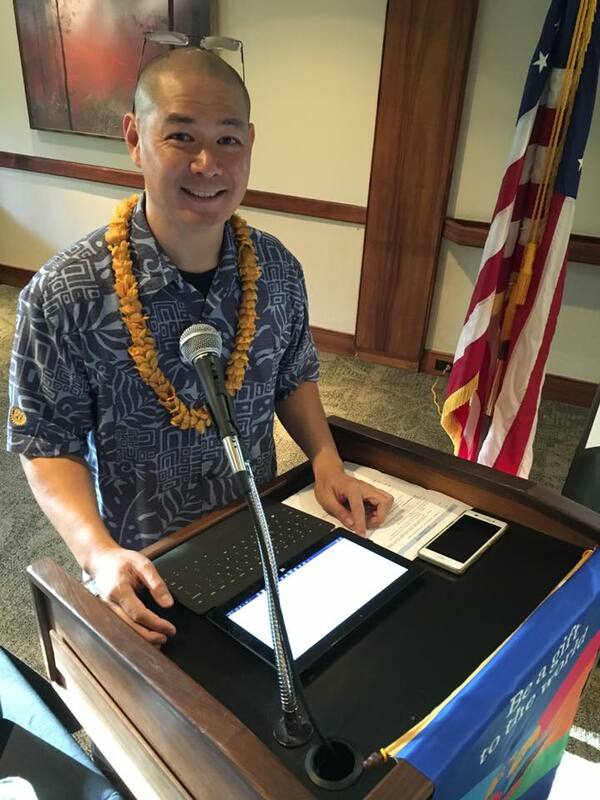 MOA Hawaii Executive Director Norman Oshiro provides a map to an alternative road to the one of pills, meds, and Iatrogenic complications. It is a road less traveled - - with amazing results. The organization provides wellness solutions from diet, exercise, and most importantly a philosophy of thinking that leads us outside the world of pharmaceuticals and its influence on medicine. A fascinating audio. Listen in! Hale Takazawa shares a story: A Rotary club decides to recruit retirees - a change of direction from trying to recruit young Rotarians...why? To build a wisdom network. 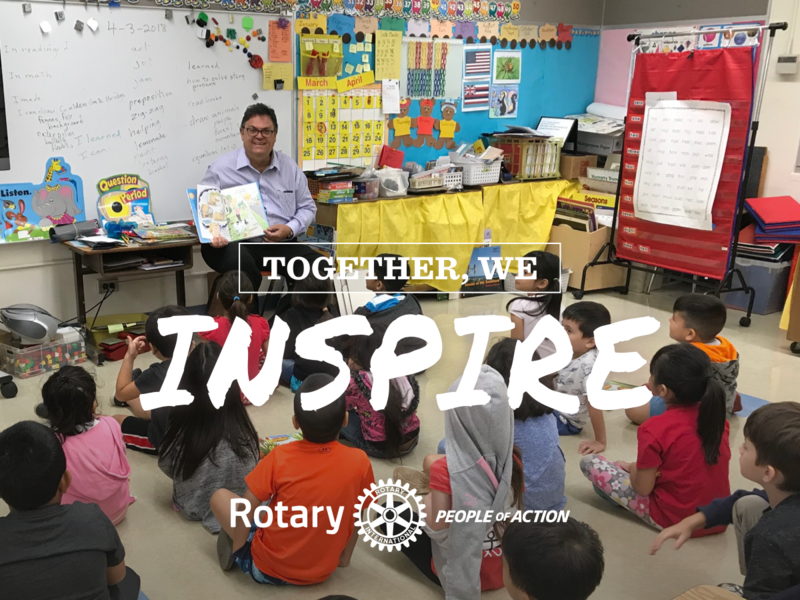 Younger people who are wisdom seekers will be the ones to join that Rotary Club! Not because the club seeks them - but because they are attracted to the wisdom of retirees (a sea of knowledge and professional expertise). 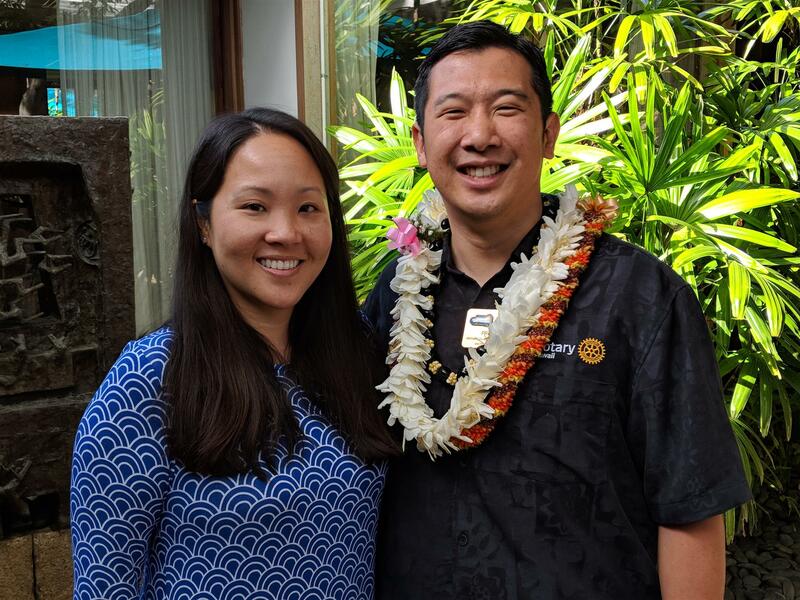 Howard J. Wolff visits as the first of our new Gameplan Series - Formerly the Chief Marketing Officer of Wimberly Allison Tong and Goo (WATG), Howard is now an independent consultant - sharing his business building magic with businesses all over the world. Howard's talk is about lessons in Marketing using the metaphor of photography. What amazing stories and bits of wisdom. Thank you Howard, for launching the HonSun Gameplan Series. 24SEP2018-District Gov. Win Schoneman Arrives! Rotary District 5000 (Hawaii) Governor, Win Schoneman arrives to share the vision for year 2018-19. 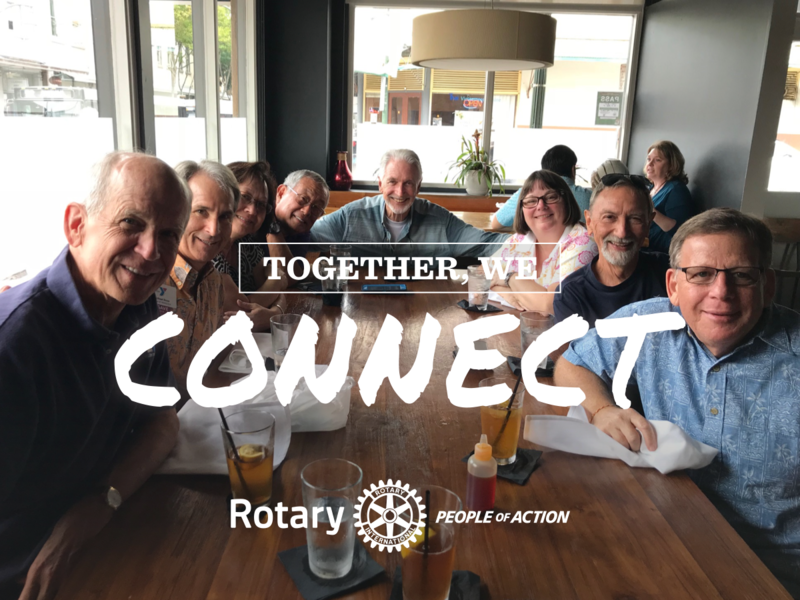 Win shared his Rotary story of his travels to Romania, where he experienced a Rotary experience that transformed him from a member about to quit to a super-hero Rotarian. It's a story we can all relate to, and it provides a new perspective on solving new world issues. Bringing it back home to Hawaii, Win is focused on building vibrant clubs, building membership within our clubs using entrepreneurial and creative ideas, as well as taking on the specter of trafficking in our islands. It's a long tough road, but Hawaii is ground zero as an international node of trafficking, and it's high time we did something about it! Thank you Governor Win for inspiring us! Kara Kusunoki visits with us. The new Director of Read To Me International is transforming the organization into a 21st century powerhouse where it can reach people to show them the skills and importance of reading aloud. Mike Doss shares an inspiration about his father's firm wisdom of discipline tempered with patience and love. He understood the power of corporal punishment can be forgotten, but a story lasts a lifetime....particularly an embarrassing one! Voters have displayed dismay and disgust with the political process of electing our politicians. Voter turnout dwindling with no end in sight! Governor Abercrombie graces the Sunrise Rotarians with a solution that could turn it around. A Constitutional Amendment! Wow! The discussion kept members way past our meeting finish as Rotarians really listened and heard the message of diversifying government. Thank you Gov. Abercrombie! Jan Taketa inspires us with reminding us about the idea of "kokua". Kokua shows at the Kahauiki project. Kokua for Senator John McCain. Kokua in Jan's neighborhood as they prepped neighbors for hurricane Lane. Kokua at RYSE who took in an extra 20 kids before the storm hit. The kids were sleeping in bushes. Kokua is what superheroes do. Ichi Sekimitsu gives an inspiration: Our deepest fear is not that we are inadequate. Our deepest fear is that we are POWERFUL beyond measure. It is our light, not our darkness that scares us most. Make manifest the glory of God that is within us. When we are liberated from our own fear... Our presence automatically liberates others. Ichi reminds us to send in our Bio's so that we can share our talents. Gregg Stueber spoke with us about his long career with the Honolulu Fire Department Search and Rescue team. He has many stories of rescue, and well as recovery. Yes - that's right... humans caught in bad situations. He speaks about environmental and situational awareness... Something many of us don't have... particularly when travelling away from our home. There will be more to come from this amazing Superhero - who we look forward to having Gregg someday teach us how to read nature so that she helps us instead of harms us. George Moyer gives an amazing inspiration... where are our Heroes? Clara Daily w/ sign-language to chat with a blind/deaf man on a plane. The divers who saved the Thai soccer team from flooded caves -esp. the one who gave his life, and the 72 medal of Honor recipients, men who believed the task was too important to leave to others. Kindness is doing something for someone else not because they can't - but because you CAN.... This is Rotary. Mary Benson gets her own gavel. Jan Taketa presents an UNSUNG HERO award to Deborah Smith from YO! House. Dean Sakamoto presents and UNSUNG HERO award to Terry Bateman from the Waikiki Yacht Club. Terry couldn't make the meeting, but sent us his own video! Linda Santos from the Honolulu Zoo graces us with a very interesting talk about what's new at the zoo! Last plans before our blind students from Japan arrive for camping. Rotary Honolulu Sunrise hosts a visit from a Japanese school for the blind! Wow! 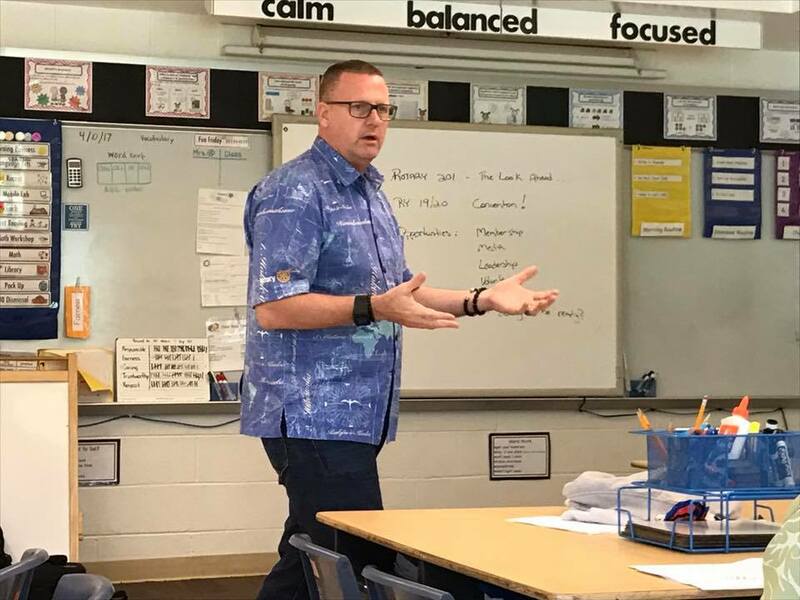 Honolulu- Following our Monday morning Rotary Club meeting on September 11, Linda Santos, Carolyn Hiatt, Dave Mozdren, John Ball delivered Dictionaries to the third grade classes at Royal Elementary. Rotarians explained what Rotary is, how to use a Dictionary and some of the interesting parts of these Dictionaries including the English Language's longest word - over 1900 letters long! It was very meaningful for the Rotarians to see the smiles on the 3rd graders' faces and some of the children hugging their Dictionaries. 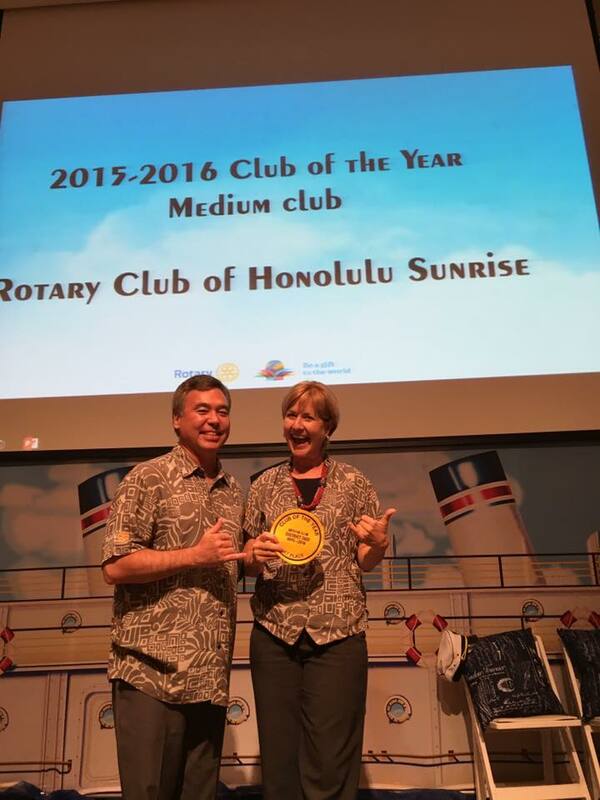 Rotary Club of Honolulu Sunrise - Club of the Year! 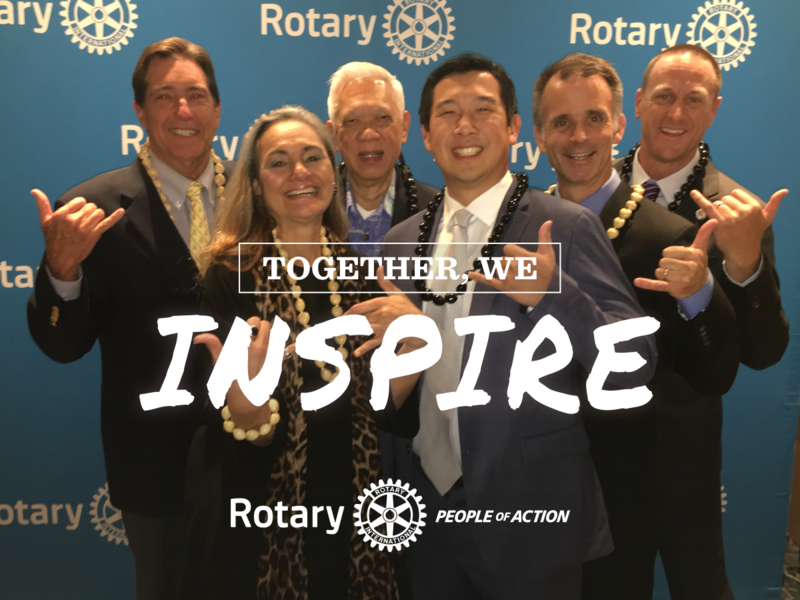 Congratulations to the members of the Rotary Club of Honolulu Sunrise for your amazing accomplishments in the 2015-2016 year. 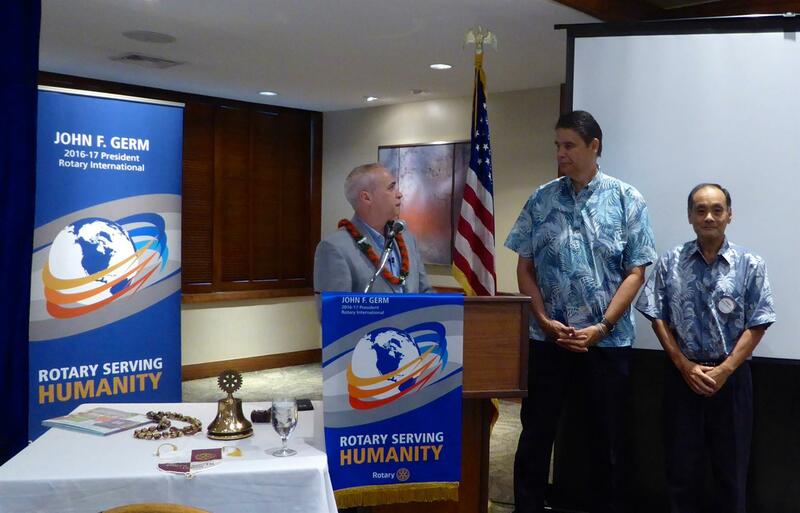 On July 19th, the Rotary Club of Honolulu Sunrise welcomed Clint Schroeder, District Governor 2016-17, District 5000 Hawaii to our meeting for his 2016-2017 kick-off remarks.